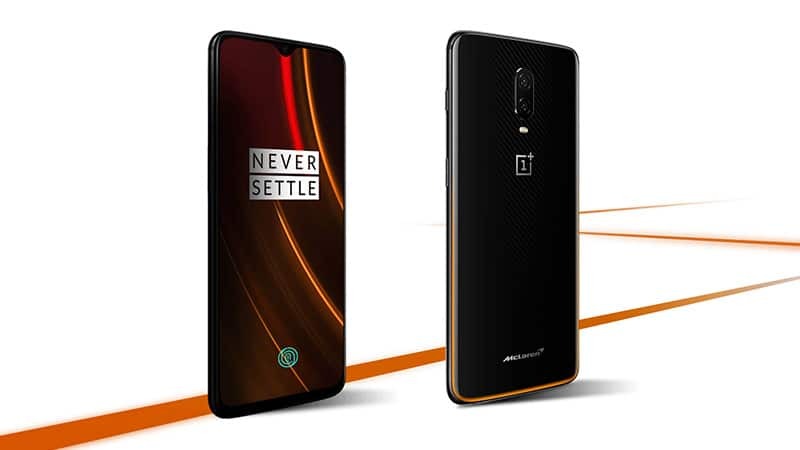 OnePlus 6T McLaren Edition will go on sale on April 6 on Amazon.in for Rs 50,999. The smartphone comes with a carbon fibre back cover, warp charge 30 and a Qualcomm Snapdragon 845 and 10GB of RAM. Interested consumers can opt for ‘Notify Me’ on Amazon.in to get hold of the OnePlus 6T McLaren limited edition. Additionally, customers can choose from other classic OnePlus 6T models like the OnePlus 6T Mirror Black (6GB+128GB and 8GB + 128GB) and OnePlus 6T Midnight Black (8GB+128GB and 8GB + 256GB). The OnePlus 6T McLaren Edition runs on Android 9 Pie-based Oxygen OS. The warp charge 30 is also employs a fast 30W charging mechanism as compared to the 20W Dash Charger on standard OnePlus models. Inspired from the car brand, the smartphone also features a special edition colour job. At the back, there is a carbon fibre finish along with orange colour accents at the bottom to imitate the styling on the McLaren F1 car. The smartphone also gives consumers special themes and ringtones to choose from, which are not available on the OnePlus 6T. The OnePlus 6T McLaren edition features a 6.41-inch Optic AMOLED dewdrop notch display offering an 85.6 per cent screen-to-body ratio. The screen resolution is set at 1080 x 2340 pixels and the display is protected by the Corning Gorilla Glass 6. At the back, there is a 16MP primary sensor for ultra-wide angle shots and a second lens with a 20MP PDAF sensor. The primary camera array also has a dual-LED flash, HDR, and panorama feature. There is a 16MP selfie camera with an auto-HDR, gyro-EIS and shoots videos at 1080p@30fps.